The Ultimate guide for generating leads using your website! Is your website driving real leads that can be closed by your sales team? Like any other company, you may be aware that you need convert-able leads. You aren’t very sure on how to begin. A lot of companies are yet to discover the best strategy for the generation of online leads via their website. So here is the Ultimate guide for generating leads using your website. First off, we begin by defining a lead. A lead is a person contacting you due to the interest he/she develops in the service or products of your company. The leads usually visit your website and fill out the contact us form or dial your phone number on your website to call you. Without completely redesigning your website, there are so many ways to increase your leads, sales, and revenue. We will see the simplest ways to grow your business significantly. Conversion Rate Optimization (CRO) is targeted at improving your website to create the best experience for your potential customers. It is an essential strategy for the businesses wanting to stay ahead of their competitors. If you want to ascertain that the designs of your website are great at converting traffics, you will have to perform a full-blown conversion audit. The aim of the audit is to suggest ways through which you can simplify and streamline your conversion funnel in order to improve the general conversion rate of your website. 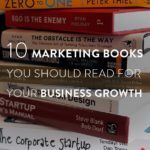 If you are able to identify the problems and correct them before the launch of your marketing campaigns it will give you a stronger base, to begin with, and reduce wasted fund on advertisement. You always need to split test and optimize your site. Testimonials from people who are notable in your industry and can satisfy customers to have trust in your business. Showing forth industry accreditation and awards also solidifies your position in the marketplace and will tend to make your visitors feel comfortable while transacting business with you. Majority of leads come from trust. The trust built in the business leads to increase in sales and a repeat of business. Fake testimonials should be avoided at all costs as it can discredit your business. A business that suffers from such may never regain the trust of the client. The heat map of your site will present a picture of places visitors’ click on your site and this will help you detect whats hot and what not. This helps you make the necessary changes that can increase conversions. The Confetti of the site will help you to identify where all the clicks come from based on referral sources and search items. Scroll map will make you determine where the people are scrolling to and the point where some of the visitors abandon the page. The overlay of the site will help you to see the number of clicks on every element of your page. Heatmap tools like Crazyegg, Hotjar, and Mouseflow might come in handy for this. It is a brilliant idea to direct every source of your multiple traffic sources to dedicated landing paged displaying unique phone numbers. Call tracking will help you identify each of your marketing efforts that are generating calls successfully and those that are not doing so well. Majority of the call tracking services will make a recording of all the calls, which will help you in determining if your sales staff or the quality of the leads requires attention. If your traffic sources seem not to be producing conversions, you will need to identify what your traffic is doing before the conversion allows you to make significant changes. 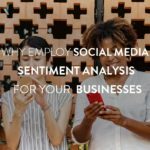 For instance, if you are able to identify that some of your social media traffic is not converting you can easily plan to reallocate the budget for such social media channels into other channels that are producing results. If you discover that most of your converts were engaging with your blog before their conversion, you can increase the content count and make use of distribution outlets to increase traffic to your blog. A proper understanding of the workings of your Google analytics Data will help you to exterminate traffic sources that are not productive and increase your efforts towards marketing ventures with the highest conversion percentage. A well-executed pop-up can increase your leads by up to 600% and even more. For instance, if you are currently generating about 100 leads a week, a simple exit popup can bring in about 600 new leads. This is done by adding few codes to your site. Pop-ups appear on the screen when your visitor is about to or has bounced. The pop-up help to keep your visitor engaged and is a good way to prevent lost leads as the interested visitor is about to bounce to some other site. Over time the pop-up exit can help to maximize your overall return on investment. Some business owners are tempted to believe that live chat is good only for e-commerce websites in their attempt to generate sales. Right, responses to pre-purchase questions can help to preserve sales and the operators of the chat can easily push consumers to sale. Interestingly, every website has so much to gain from this simple tool. Consider a restaurant that is interested in generating reservations and physical visits to the location, live chat can help to catalyze the reservation as well as assist with other clarifications such as direction to the restaurant. The chat service can be integrated with the mobile phones so that the business can easily monitor the chat through an employee. Live chat is a low-cost option that easily produces noticeable results. Changing the wording of a call-to-action and changing the colour of an action button can lead to a greater conversion gains. You can keep track of all the changes with software like unbounce. It will help you to track the best performer of all the landing pages with slight variations. The tactics discussed above are some of the most effective ways of generating leads with your website. When you adhere to them effectively it will boost your sales without a significant difference in your budget. If you have another tested method, do share with us in the comment section below. 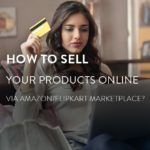 How to sell your products online via Amazon/Flipkart marketplace? I gotta favorite this article, it seems very beneficial & extremely helpful.